An elegant limousine is the very best transportation for wine tours in the bay area. Your polite and skilled chauffeur takes care of all the driving, so you can do as much wine tasting as you like. But the benefits of Napa Valley limo tours go way beyond that. You'll travel in style in luxury, making the day a memorable celebration as you enjoy this part of wine country's many fine restaurants and countless wineries. 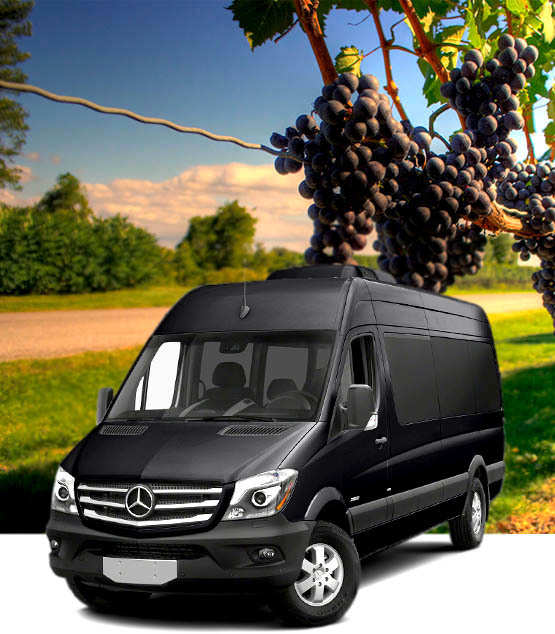 With one call to the Napa Valley group transportation experts at SF Black Care Luxury Transportation Service you can arrange one-day Napa Valley limo tours or even overnight expeditions. With limousine wine tours bay area you and your guests can enjoy classical music, or whatever style of entertainment you prefer, on a top-quality sound system. Plus you'll have everything you need to chill and share some of your recent purchases. Our services are the simple answer to Napa Valley group transportation for gatherings of up to 10 people, with everyone traveling together. SF Black Car's Napa Valley limo tours combine experienced scheduling, flawless vehicles, and expert drivers. Call us for all all of your Napa vineyards transportation needs. Chauffeured Napa vineyards transportation means that you'll be enjoying each and every minute of the tour. Whenever you have out of town guests, a special occasion, or just want some special time with friends wine tours bay area are a great idea.